Your smartphone and your internet connection give you access to an endless supply of music. And wireless speakers and audio systems give you lots of new ways to listen. So many, in fact, that it’s not easy to choose the best gear for your situation. Read on — we’ll help you figure it out. The term "wireless" is a source of some confusion. You can stream music from a smartphone, tablet, or computer to wireless speakers and components. And some wireless speakers and components connect to each other via a wireless network. But there's one wire that remains — the power cord. Wireless home speakers and components need to be plugged into wall outlets. Even portable speakers with built-in batteries need to be plugged in to recharge. Knowing where and how you want to listen helps you quickly narrow the field. Below are four of the most common ways people use wireless speakers and audio systems. 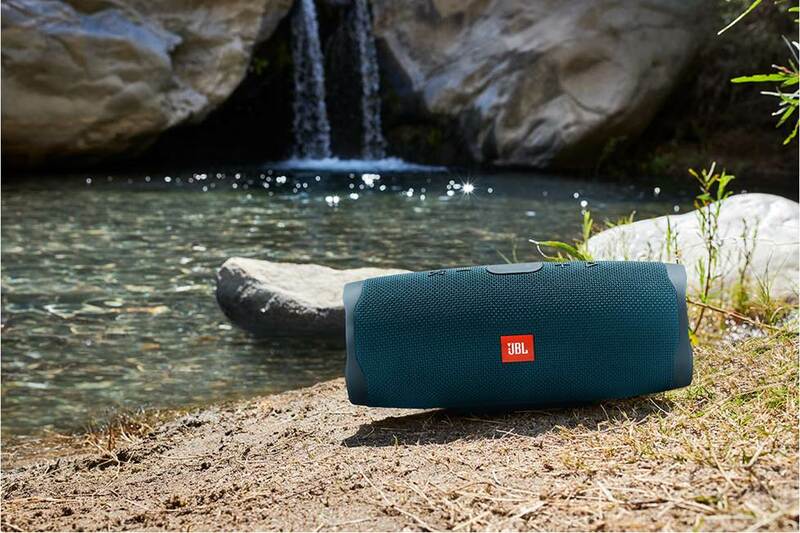 Portable Bluetooth® speakers come in a variety of sizes. There are ultra-portable ones that make great traveling companions. Big, beefy models will liven up your tailgate parties or other outdoor get-togethers. Some models are even water- and shock-resistant — ideal for camping or poolside fun. Bluetooth speakers are easy to pair with your smartphone or tablet. Getting connected usually takes just seconds. 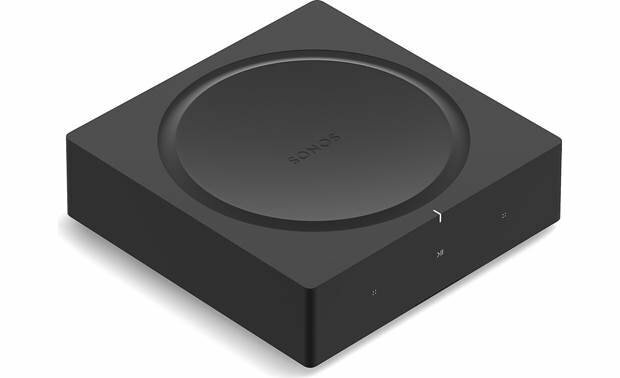 It’s a direct connection that doesn’t require a Wi-Fi network, so you can set up an instant audio system just about anywhere. Read our Bluetooth speaker buying guide for more detailed info. 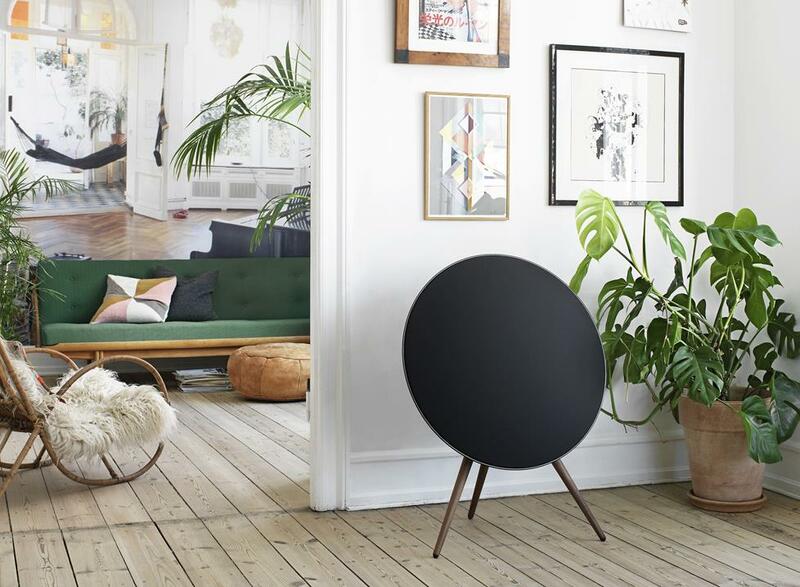 The tripod-mounted B&O PLAY Beoplay A9 by Bang & Olufsen can deliver rich, detailed sound — and be a focal point for your room's decór. Want good sound in a bedroom, den, kitchen, dorm room, or apartment? A portable Bluetooth speaker can work. 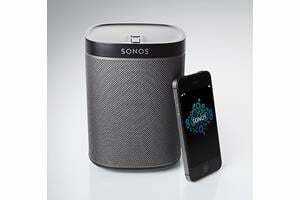 But you'll get richer, more robust sound from a wireless home speaker. Wireless home speakers draw power from a wall outlet, rather than batteries. They’re larger and more powerful than portable models. They make a good alternative to a component stereo system if space is tight (or if you prefer the simplicity of a single-box system). Bluetooth powered speakers are just as simple to use as their portable counterparts. Just place one in your room, plug it into a wall outlet. It’s ready to receive whatever audio you can play through your smartphone, tablet, or laptop. Using your phone to send music to a Bluetooth speaker is super convenient. But what happens when a call comes in? The music stops. It also stops when you carry your phone beyond the speaker's wireless reception range (usually about 30 feet). Do you use an Apple iPhone® or iPad®? A wireless powered speaker with Apple AirPlay lets you stream audio directly from your Apple device to a compatible wireless speaker. 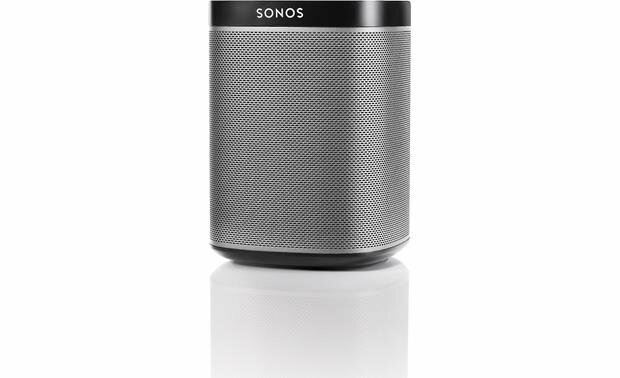 Some wireless speakers come with Bluetooth and AirPlay built-in. This is great if you have both Android™ and Apple devices in your household. 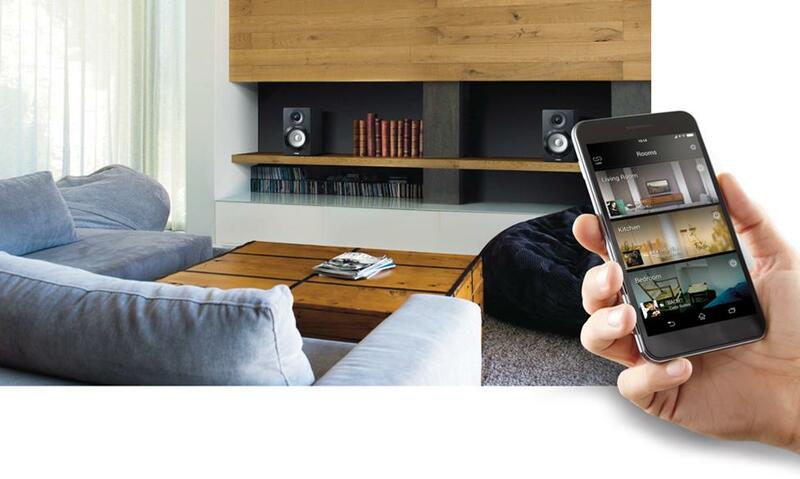 Multi-room audio systems let you use your smartphone to control music throughout your home. 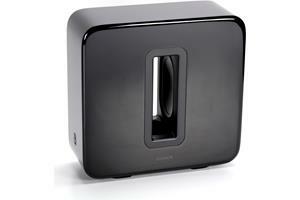 Some wireless speakers can be linked to together on your home Wi-Fi network. You control them with an app on your smartphone or tablet. 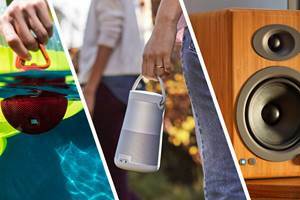 But unlike Bluetooth speakers, Wi-Fi speakers connect directly to online music services or your computer's music library. The music keeps on playing when your phone rings or when you take your phone to another room. 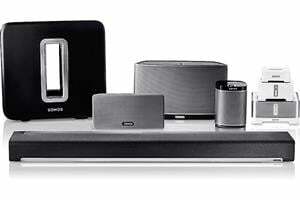 Wireless multi-room audio systems offer lots of flexibility. Play an internet radio station in the family room, selections from your computer's library in the kitchen, and a Spotify® playlist in the den — all at the same time. Or play the same song in multiple rooms. Having a party? Let your Pandora® party mix ring throughout the house! ...or play the same song all throughout the home. When it comes to multi-room audio, there are many choices. Several multi-room systems are "closed," meaning they work only with other products from the same brand. 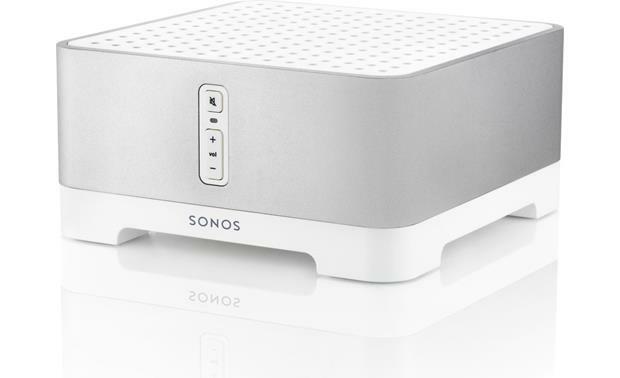 Sonos, Denon HEOS, and Yamaha MusicCast are some popular examples. Some wireless audio protocols are "open." That is, you can mix and match speakers and components from any manufacturer using the same open system. Our Intro to Play-Fi article has more information about that technology. If you're an iPhone or iPad user, Apple AirPlay 2 is another option. Any speaker with AirPlay 2 can be incorporated into a wireless audio system controlled directly from your device. If you subscribe to Apple Music®, you can use Siri on your iPhone, iPad, or Apple TV 4K to control Apple Music with voice commands. Tell it what selection or playlist to play — and which compatible speakers or components you want it to play through. Google's Chromecast built-in lets you create a multi-room audio system with compatible speakers and components. 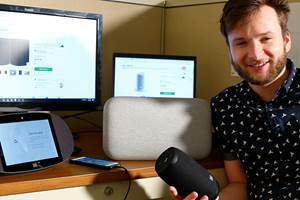 The network is controlled through the Google Home app on your smartphone or tablet. And if one or more of your speakers has Google Assistant built-in, you can also control your system with voice commands. 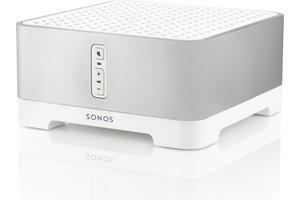 Most wireless multi-room audio systems offer more than just powered Wi-Fi speakers. They also have devices that can connect your existing audio/video gear to the wireless system. 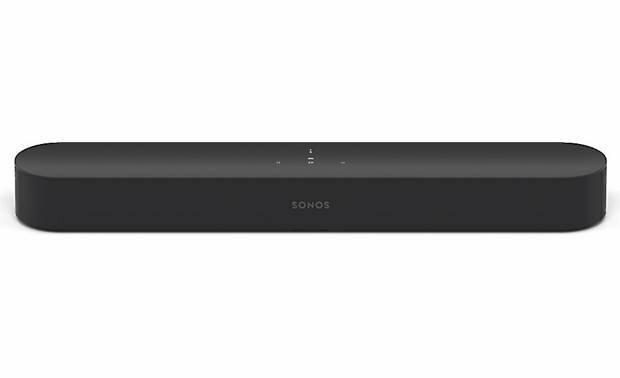 Some wireless multi-room systems offer sound bars. You can enjoy TV sound and wireless music from a single, space-saving product. Some models even let you send TV audio to another room, so you can keep up with the movie while you're making popcorn in the kitchen. 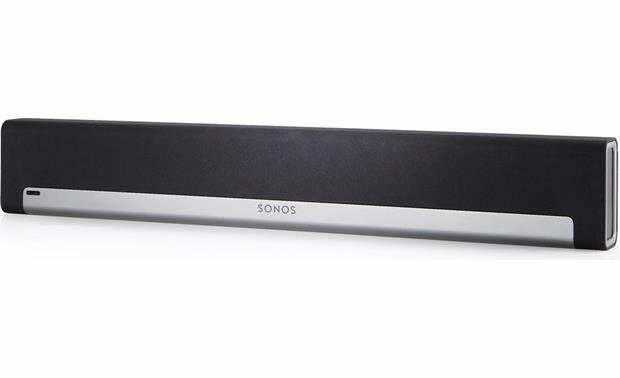 Most of these sound bars work with wireless subwoofers for easy placement. And many multi-room systems offer wireless 3.1 and 5.1 surround sound options. 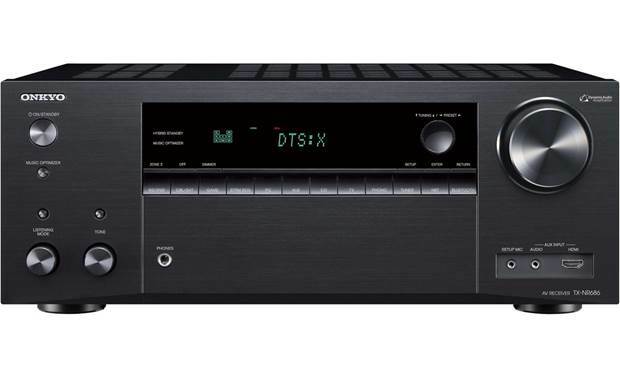 If you like having a traditional home theater or home audio setup with a receiver being the heart of your system, good news. Many receivers now come with network connections and some type of wireless technology. This lets you enjoy music streamed from your smartphone, tablet, computer, or the internet. Many of today's receivers have built-in Wi-Fi, and can wirelessly connect to your home network. Some are part of closed systems, while others are compatible with one or more open systems. 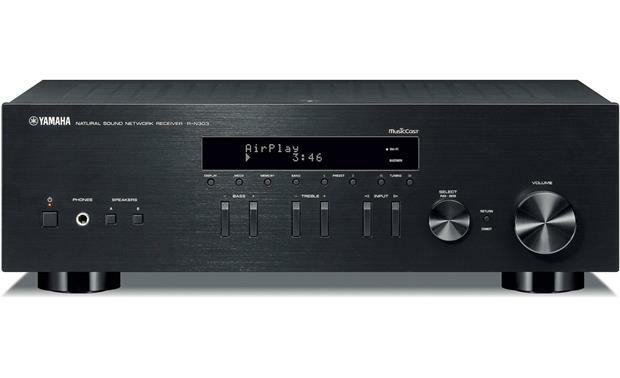 You can easily find home theater receivers with Bluetooth built in, as well as Apple AirPlay. 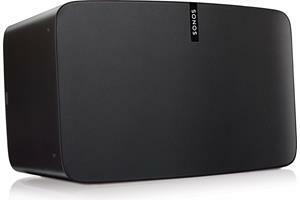 To fully explore your multi-room system options, see How to choose the best Wi-Fi speakers. 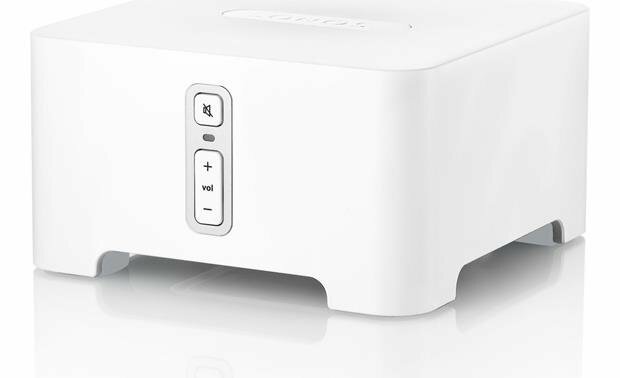 Many home theater receivers include wireless streaming options, such as Bluetooth, Apple AirPlay and Chromecast built-in. Have questions about wireless audio? If you need more information or help to decide which solution is best for you, just call us! You can reach our Advisors at 1-888-955-6000. 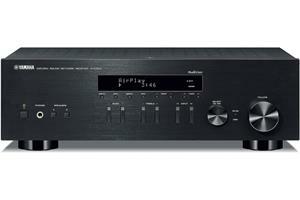 Please update to include Heos, the new Yamaha receivers and surround speakers and other options.